Chives, botanical name Allium schoenoprasum, is basically edible onion. In fact, they are the tiniest onion species that are fit for eating. This is a perennially growing plant that is indigenous to Asia, Europe and North America. Chives are a very common herb that is sold at grocery stores and also grown by many in their home gardens. 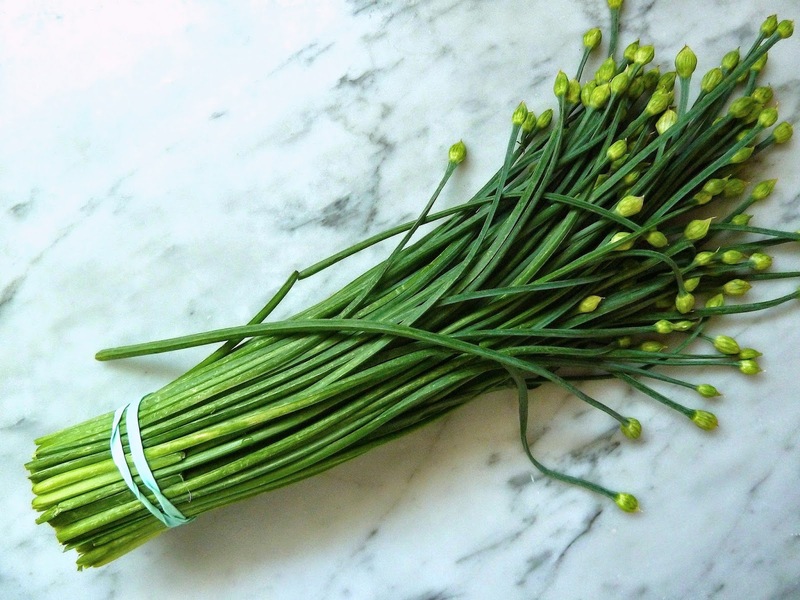 The scapes (leafless flower stalks) and unopened young flower buds of this herb are used for culinary purposes, especially in soups, potato, fish and other preparations. These parts of the plants are chopped and used for adding flavour to these dishes. In addition, chives also possess insect-repellent attributes and may be used to control pests in gardens. The flowers of Allium schoenoprasum comprise many florets and have resemblance to the globe. The chives flowers usually blossom during the period between April and May. The color of the florets may vary - white, light lavender, pink and some of them may also have a dark stripe in the middle. Each floret consists of several petals whose shape is lanceolate (lance-shaped) and/ or ovate and they are acutely pointed at the ends. The flower’s sheath comprises two or three flaps, which are wide-ovate and shorter compared to the flower. These sheaths may have a white or reddish hue. The perianth or the floral arrangement comprising the corolla and calyx, particularly when two whorls are merged, encircles the capsule akin to a balloon. 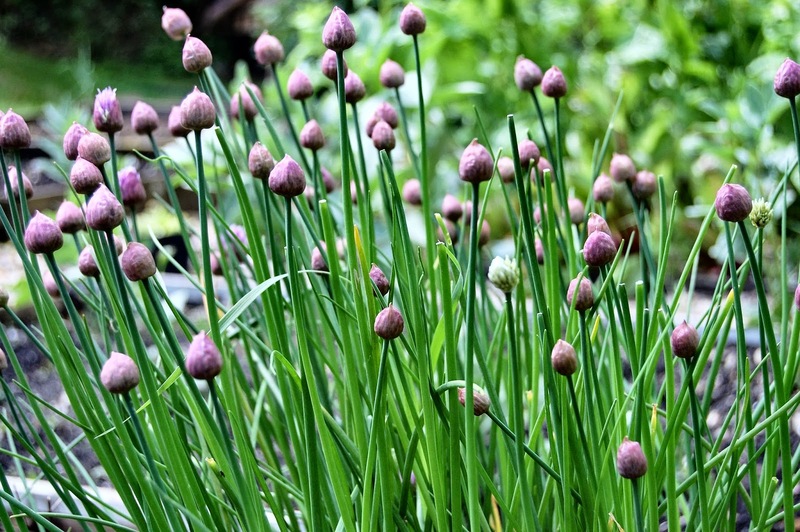 Chives leaves are similar to grass and they emerge from an incomplete bulb. The leaves are hollow, acutely pointed and develop in clumps. The length of chives leaves may be anything between one to two feet (maximum 60 cm). People who are not experts are likely to wrongly identify these plants to be wild onions. Nevertheless, chives do not possess the potent scent of onions. Chives contain many noteworthy flavonoid anti-oxidants, plant fiber, minerals, and vitamins that have proven health benefits. Chives contains several antioxidant enzymes, namely:Superoxide dismutase, catalase, peroxidase, glutathione peroxidase, malonyldialdehyde, chlorophylls a and b, carotenoids, vitamin C, A, K, flavonoids, glutathione and alliin. The compound allicin is produced enzymatically from alliin, found in the aerial parts of the Chives. As in scallions, they too contain more plant-derived dietary fiber than fellow allium members such as onions, shallots, leeks...etc. 100 g fresh leaves provide 2.5 g or 7% of daily-recommended levels of fiber. Chives surprisingly comprise more vitamin A than any other allium family member vegetables. 100 g of fresh leaves contain 4353 IU of vitamin-A or 145% of daily recommended levels. In addition, its green leaves contain other flavonoid-phenolic antioxidants such as carotenes, zea-xanthin, and lutein. They also have some other essential vitamins such as vitamin C, and K, in fact; chives are one of the richest sources of vitamin K, comparatively more than that of in scallions. 100 g of fresh greens provide 212.7 µg or about 177% of daily recommended intake of this vitamin. Fresh chives are rich source of folates. 100 g leaves provide 105 µg or 26% of DRI of folates. Folic acid is essential for DNA synthesis and cell division. Furthermore, the leaves are packed with other B-complex vitamins as well as some essential minerals such as copper, iron, manganese, zinc, and calcium. The leafy greens contain several vital vitamins such as pyridoxine, pantothenic acid, niacin, riboflavin, and thiamin in healthy proportions. Chives are rich in flavonoids like organosulphides, which have anti-cancer and anti-inflammatory effects. Those who consume chives as well as the other plants from the onion family, can actually minimize their risk of getting cancer, especially prostrate cancer and gastrointestinal tract cancer. Moreover, the high potency of flavonoids means that the potency of Chives for medicine is extremely high. In depth studies of the use of chives as a form of medication show that Chives are very effective when it comes to minimizing the effect that rheumatoid arthritis will have on your daily lifestyle. Chives are a good source of beta-carotene, which helps to improve eye sight and clear acne. So, chives are a great vegetable for a radiant skin. Chives are also rich in vitamin C, which is a water soluble antioxidant. It can improve the immune system, elasticity of blood vessels and skin, prevents bruising, and increases the iron absorption. Chives also have some other essential vitamins such as vitamin C, and K. Scientific studies suggest that vitamin K has a potential role in bone health by promoting osteotrophic (bone formation and strengthening) activity. Adequate vitamin-K levels in the diet help limiting neuronal damage in the brain; thus, has established role in the treatment of Alzheimer's disease. 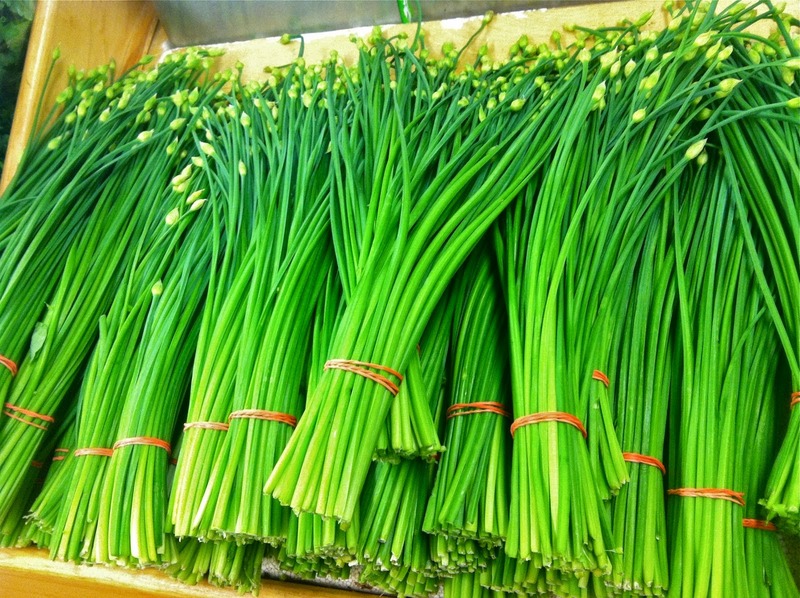 Fresh chives are rich source of folates. Folic acid is essential for DNA synthesis and cell division. Adequate folate levels in the diet during pregnancy may help prevent neural tube defects in the newborn babies. This vegetable is a good source of dietary fiber and it adds roughage in the intestines, colon, thus, preventing constipation, diverticular disorders and hemorrhoids. Chives are considered to have high quantities of zinc, magnesium, copper, potassium, phosphorous, calcium and iron in addition to the dietary fiber contents that also works to improve digestion.